Waterway Cafe is a waterfront restaurant that sits just South of the PGA Bridge on the Intracoastal. A large restaurant with indoor and outdoor seating, Waterway offers a variety of dining options. Both inside and out there are large bars, and outside there are covered dining areas, tiki bars and the Southside Deck. 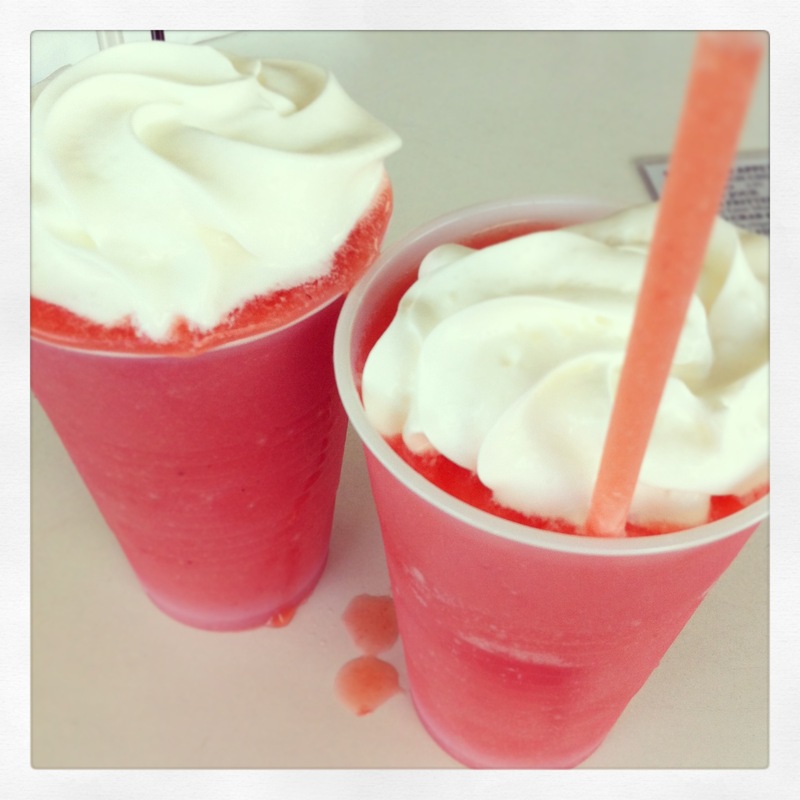 They serve American food with fresh seafood throughout the menu and tropical drinks for those feeling beachy. Waterway has been a friend and family favorite for years. For the friends, it’s the Happy Hour on Friday night from 3-6:30pm. We take up the North deck, wind down and catch up with everyone. For family, Waterway is always a great spot to take visiting friends and family for a lunch by the water or a quick spot to dock the boat and grab a bite. On this particular Sunday we took the boat and docked up by the main tiki area for lunch. The weather was perfect and the shade of the covered dining area gave the right amount of relief from the sun. One thing that’s nice about Waterway’s location is the steady stream of boats to watch go by. We started off with a Smoked Fish Dip which is delicious and comes with crackers and carrots for dipping and jalapeños for topping. I split the Lobster Roll from the Specials Menu with my mom. This thing is packed with Lobster Salad. Personally. I prefer a warm butter-based lobster roll, as opposed to a cold, mayo-based lobster salad, but it was still very good. I’m not a huge fried food eater, and I love their fries. They’re thick wedge fries with the right amount of seasoning and nice potato taste. Dad apparently had a conch craving because he ordered both the Conch Chowder and the Cracked Conch for lunch (living in the Keys will sometimes have this effect on people). Their Conch Chowder is one of his favorites in the area – which says a lot – and he was pleasantly surprised by their Cracked Conch. It was an appetizer but had a nice portion and wasn’t too greasy, letting the conch shine. Other meals at the table included my usual the Fresh Fish Sandwich which I’m pretty sure is always Mahi and the Mojo Chicken Sandwich which is my husband’s go-to on the menu. Everyone enjoyed their meals and were too full for Key Lime Pie, which was a shame. Waterway Cafe is definitely a tried and true gem. The food is good and consistent, the service is always great and the atmosphere is warm and sunny outside and lively inside. They have a great Happy Hour with drink specials and a discounted menu. A section of the main dining area is available for private parties and events. There is a buffet available some evenings and live entertainment on Fridays and Sundays. I definitely recommend checking it out – and make sure to visit Dave at the bar!